Already a Customer? Click Here to Download Your Purchase. Get Your Free Web-Based CMMS Today! Click Here to Get Your Free Desktop CMMS Today! A CMMS by CWorks Systems will put you in control. 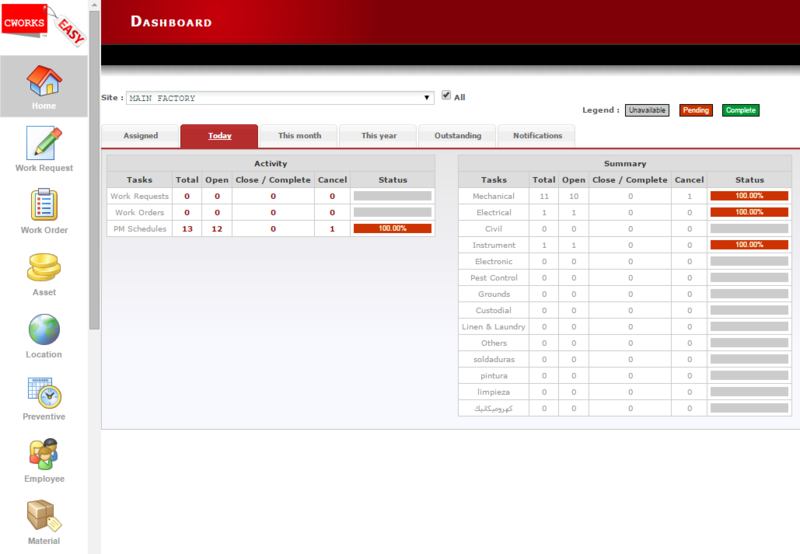 We enable you to easily track the who, what, where, when, and why of your maintenance work and equipment. Our CMMS offerings make it simple for you to turn your maintenance cos﻿ts into a﻿n investment. Make your preventative maintenance a priority today - your bottom line will show the difference. We'd love to speak to you. Call 716-213-0208 to speak with one of our Consultants today about your needs for a CMMS! Tracking Assets – A CMMS from CWorks allows you to take control of your assets. Track location changes, track work that has been done to them (preventative or breakdown), track life-cycle information (depreciation, etc), and much more. Work Order Creation (Automatic and Manual) – Manage both planned and unplanned work, from the initial request, all the way through completion, complete with technician information, and a detailed work log. Preventative Maintenance is a pleasure with a CMMS from CWorks. Inventory management – Take control of your parts inventory, with a CWorks CMMS. Document details, cost, and usage of your stockroom, no matter how large. Purchasing – CWorks Purchasing makes inventory replenishment and other parts requisitions simple. "The CWorks Support Team is the greatest I have come across to date. They are fast, flexible and always willing to help out with customizing	an amazing piece of software. We were up and running in as little as two weeks, and with over 2,000 assets, that is a testament to the software's reliability and ease of use... "